Celebrate spring with this lovely botanical collection of 5 temporary tattoos of beautiful and delicate flowers. The flowers featured in this collection are cherry blossoms, lavender sprigs, violets, roses and lilacs. We love this collection because the flowers are so pretty, dainty and feminine and they are really fun to place all over the body, for a surprise flower sneak peak. 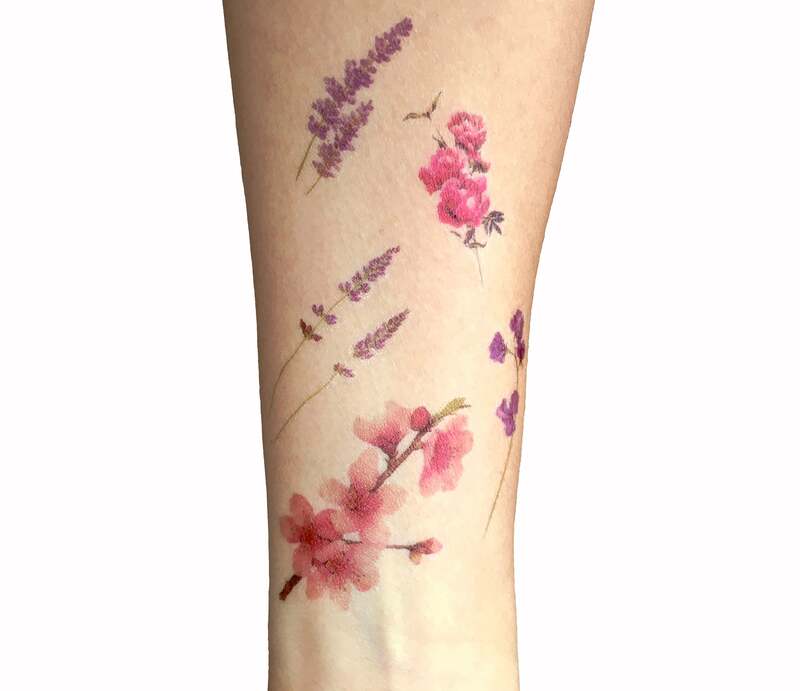 This listing is for one high quality floral temporary tattoo. 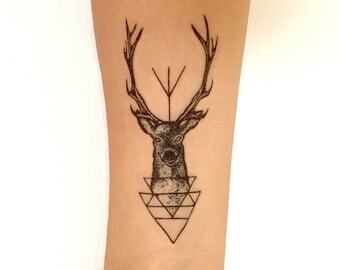 1967 Accessories offers high quality temporary tattoos that will last from 1-4 days. Application directions are included in your package. Note: all the items in your order will be combined in a single eco-friendly pack. If you'd like individual packaging for each item, just leave us a note at checkout. Your tattoos will be shipped out from canada, 1-2 business days following the order. 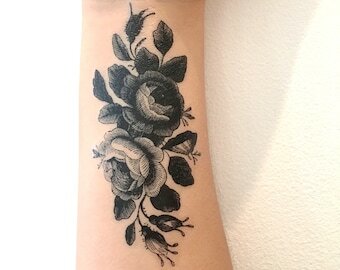 Allow 3-10 days for tattoos to arrive in Canada and 4-12 days in the US. International orders will take anywhere from 6-20 days on average, however this does depend on your local postal service. Upgrades for tracking and guaranteed delivery times are available at checkout. Great tattoos and great seller! Thank you!! Will buy from again!